Hope everyone had a great Christmas this year. Because I didn’t have very much vacation time and Madden Ultimate Team was still finishing up, we decided to stay in Florida this year. This is the first time we haven’t gone back to Texas for Christmas since 2003. We’ve actually found it quite relaxing not having to be four days in the car driving. 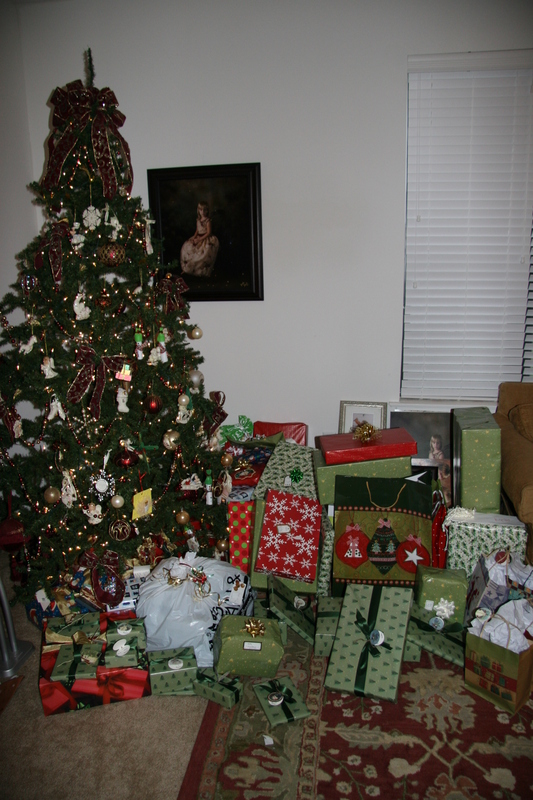 Because everyone mailed their gifts to us, our tree was exploding with presents. We started off Christmas Eve trying to find a place for breakfast and had to settle for IHOP. Our normal breakfast place, The Townhouse Restaurant, was closed. We thought about trekking it up to Lake Mary to visit our old breakfast place, Peach Valley, but decided against it. It was already 9:00 and didn’t want to be eating breakfast so late. In the afternoon, we attended church service and then headed home to open presents. 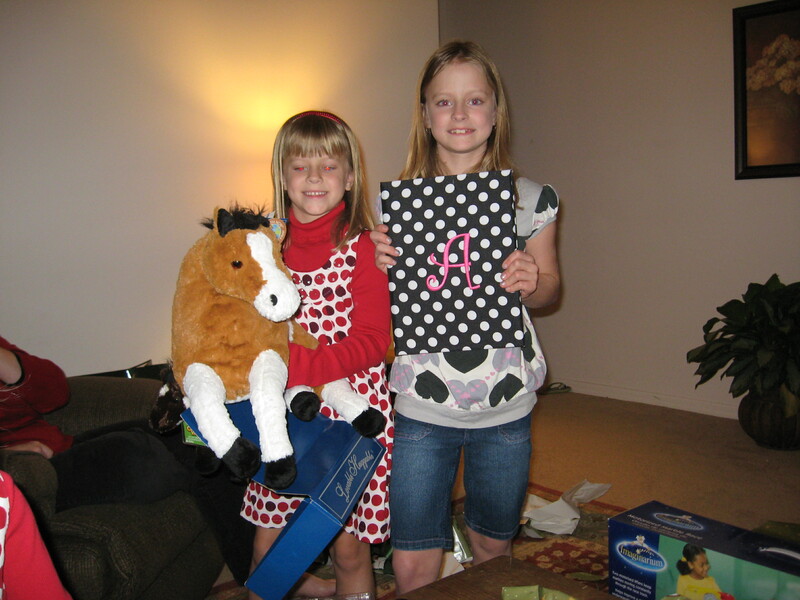 Abby and Emily played “Santa” and handed out the gifts. It took a while, but we go through them all and are thankful for all the wonderful family we have. Thank you for all the presents. We finished off the night baking cookies for Santa. In the morning, the girls woke me up at 5:50 a.m. in order to show me what Santa gave them. Jennifer elected to stay in bed, not having a good night sleep due to some backyard neighbors having a very merry Christmas party the night before that kept her up. I threw Empire Strikes Back into the new Blu-ray player I got for Christmas and laid on the couch while the girls played around me. On Saturday we went over to Pappy’s Patch, a local farm near our house, to pick fresh strawberries. They were delicious. We went home and made strawberry milkshakes and chocolate covered strawberries. I’m off from work the rest of the week, but I have to keep my eye on my e-mail. Madden Ultimate Team isn’t quite through all the testing yet, but hopefully we are close and we will be available to download next month.